The digital isolators are devices used for transferring data without a direct electrical connection and can be used in place of optocouplers. Rhopoint Components are proud to offer the digital isolator IsoLoop family by NVE Corporation based on the spintronic GMR technology, improving safety, reducing noise, and offering small size, good speed and non-degrading technology. The IL260VE high speed digital isolator from NVE is a five channel CMOS device with typical data rate of 110Mbps. They feature high working voltage of 1kVRMS and isolation voltage of 6kVrms. The IL260VE is available in an 16-pin 0.3" SOIC package, specified over a temperature range of −40°C to +85°C. These isolators are manufactured with NVE’s patented IsoLoop® spintronic Giant Magnetoresistive (GMR) technology. The IL260VE features symmetric magnetic coupling barrier, providing the best specification in terms of propagation delay and pulse width distortion on the market. The unique fifth channel can be used to distribute isolated clocks or handshake signals to multiple delta-sigma A/D converters. The unique ceramic/polymer composite barrier provides excellent isolation and virtually unlimited barrier life. The IL260 series, including IL260VE is UL1577 recognised and certified to VDE 0884-10. 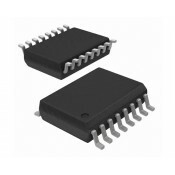 The IL261-3E high speed digital isolator from NVE is a five channel CMOS device with typical data rate of 110Mbps. They feature working voltage of 600VRMS and isolation voltage of 2.5kVrms. 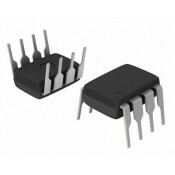 The IL261-1E is available in 0.15" 16-pin SOIC package, specified over a temperature range of −40°C to +85°C. These isolators are manufactured with NVE’s patented IsoLoop® spintronic Giant Magnetoresistive (GMR) technology. The IL261-3E features symmetric magnetic coupling barrier, providing the best specification in terms of propagation delay and pulse width distortion on the market. The unique fifth channel can be used to distribute isolated clocks or handshake signals to multiple delta-sigma A/D converters. The unique ceramic/polymer composite barrier provides excellent isolation and virtually unlimited barrier life. The IL261 series, including IL261-3E is UL1577 recognised and certified to VDE 0884-10. The IL261E high speed digital isolator from NVE is a five channel CMOS device with typical data rate of 110Mbps. They feature working voltage of 600VRMS and isolation voltage of 2.5kVrms. 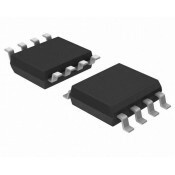 The IL261E is available in an 16-pin 0.3" SOIC package, specified over a temperature range of −40°C to +85°C. These isolators are manufactured with NVE’s patented IsoLoop® spintronic Giant Magnetoresistive (GMR) technology. The IL261E features symmetric magnetic coupling barrier, providing the best specification in terms of propagation delay and pulse width distortion on the market. The unique fifth channel can be used to distribute isolated clocks or handshake signals to multiple delta-sigma A/D converters. The unique ceramic/polymer composite barrier provides excellent isolation and virtually unlimited barrier life. The IL261 series, including IL261E is UL1577 recognised and certified to VDE 0884-10. The IL262-3E high speed digital isolator from NVE is a five channel CMOS device with typical data rate of 110Mbps. They feature working voltage of 600VRMS and isolation voltage of 2.5kVrms. 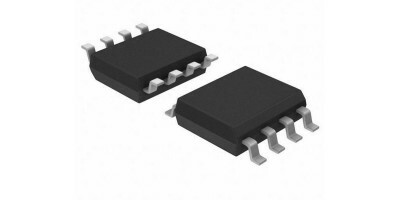 The IL262-1E is available in 0.15" 16-pin SOIC package, specified over a temperature range of −40°C to +85°C. These isolators are manufactured with NVE’s patented IsoLoop® spintronic Giant Magnetoresistive (GMR) technology. The IL262-3E features symmetric magnetic coupling barrier, providing the best specification in terms of propagation delay and pulse width distortion on the market. The unique fifth channel can be used to distribute isolated clocks or handshake signals to multiple delta-sigma A/D converters. The unique ceramic/polymer composite barrier provides excellent isolation and virtually unlimited barrier life. The IL262 series, including IL262-3E is UL1577 recognised and certified to VDE 0884-10. The IL262E high speed digital isolator from NVE is a five channel CMOS device with typical data rate of 110Mbps. They feature working voltage of 600VRMS and isolation voltage of 2.5kVrms. 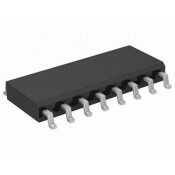 The IL262E is available in an 16-pin 0.3" SOIC package, specified over a temperature range of −40°C to +85°C. These isolators are manufactured with NVE’s patented IsoLoop® spintronic Giant Magnetoresistive (GMR) technology. The IL262E features symmetric magnetic coupling barrier, providing the best specification in terms of propagation delay and pulse width distortion on the market. The unique fifth channel can be used to distribute isolated clocks or handshake signals to multiple delta-sigma A/D converters. The unique ceramic/polymer composite barrier provides excellent isolation and virtually unlimited barrier life. The IL262 series, including IL262E is UL1577 recognised and certified to VDE 0884-10. The IL262VE high speed digital isolator from NVE is a five channel CMOS device with typical data rate of 110Mbps. They feature working voltage of 1kVRMS and isolation voltage of 6kVrms. The IL262VE is available in an 16-pin 0.3" SOIC package, specified over a temperature range of −40°C to +85°C. These isolators are manufactured with NVE’s patented IsoLoop® spintronic Giant Magnetoresistive (GMR) technology. The IL262VE features symmetric magnetic coupling barrier, providing the best specification in terms of propagation delay and pulse width distortion on the market. The unique fifth channel can be used to distribute isolated clocks or handshake signals to multiple delta-sigma A/D converters. The unique ceramic/polymer composite barrier provides excellent isolation and virtually unlimited barrier life. The IL262 series, including IL262VE is UL1577 recognised and certified to VDE 0884-10.